The election is over and we have a new president-elect. When I polled my online audience in October about who they would vote for in the upcoming contest, two-thirds of our respondents said Trump, while 13% chose Clinton. After the election, when I went to the same online network to ask how they felt about the election results, six-of-ten were “thrilled,” 29% allowed they were “glad it didn’t go the other way,” with only 8% saying they were unhappy with how it turned out. When you understand that there are approximately 100 million American voters directly impacted by a small business, responses to our polling, as well as others with which I’m familiar, make me believe small business voters contributed to Mr. Trump winning 30 states. Consequently, small business owners will be justified in watching Trump’s actions to see if he is as much of a payroll-making, job-creating kinsman as they apparently think he is. But the small business sector has to do more than just hold someone else accountable - we have to hold ourselves accountable. We need to participate in the public policy debate and contribute to the results. Otherwise, we’ll be relegated to taking what we’re given by policy makers who can presume that we don’t care. Engagement in public policy should be a small business priority for two reasons: politicians and bureaucrats. These are the people with the power to levy taxes and impose regulations, both of which can negatively impact your business. The first element of this priority is to identify local, state and federal elected representatives, and make a plan to contact each one this year. Every year these individuals pass laws that spawn regulations and mandates that have an impact on your business. Unfortunately, too often that impact is negative. Too many politicians have never made a payroll, and consequently know little or nothing about the challenges small business owners face. Our message gets pushed aside by that of more organized and better-funded interest groups (read: unions and corporate America). Small businesses have to find a way to get more involved, either through our own direct efforts, or indirectly through organizations that advocate for us. Excellent ways to do this is to first find out what’s being debated and weigh in based on your position with a letter, phone call, or even a visit. Next, learn about the voting record of your Congressional delegation on laws that affect small business. Then write a letter to them and/or attend local meetings they conduct, to congratulate them if they have a supportive voting record, or express your disappointment if they don’t, and encourage them to do better. Local and industry: You should always be a member of your local Chamber of Commerce and your industry’s trade group. Both have policy advocacy efforts. National and state: Small Business & Entrepreneurship Council, (sbecouncil.org); National Federation of Independent Business, (nfib.com); Competitive Enterprise Institute (cei.org); National Taxpayers Union (ntu.org). There are others, and you can’t go wrong supporting more than one. Your support, especially financial, contributes to their voice at the policy table. Regardless of your party affiliation or how you voted, as the Trump administration works with a GOP majority Congress over the next two years, many issues will be debated that impact your business. Find a way - directly or indirectly - to make your voice heard. 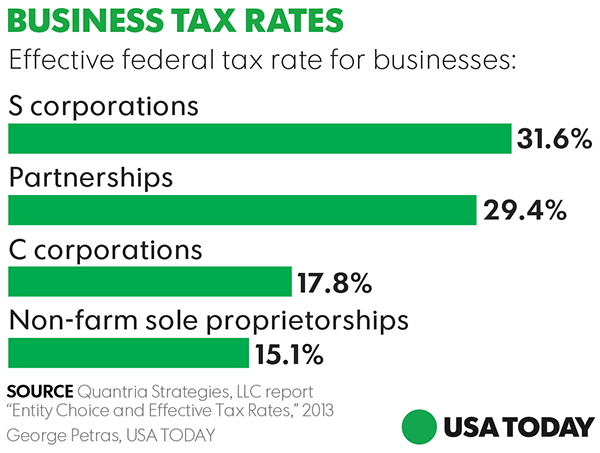 The choice is yours: Participate in small business policy-making, or take what you’re given by those who can rightly assume that you don’t care. Write this on a rock … At 100 million strong, if small business stakeholders were organized, the world would change - for the better. Beginning at the bottom, a recession (sometimes, but rarely, a depression). Historically, sir, recessions are short – often measured in months. In the middle is a recovery, which has the task of healing the defects that caused the downturn while reversing negative growth. Depending on the severity of the recession, recoveries take a little longer, from months to a year or so. And finally, the tide that floats all boats, the expansion. Expansions can last for years, as they did under two of your predecessors, Reagan and Clinton. 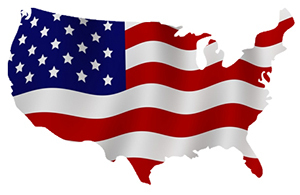 In America, we expect a recovery to be a means to an end, not a way of life. Alas, that isn’t your standard, because perpetual recovery has been our economic fate since you took office, four months before the Great Recession ended in June 2009. Recently, in a speech in Elkhart, Indiana, you said this: “By almost every economic measure, America is better off than when I came here at the beginning of my presidency.” Those of us who have made payroll every month of your tenure see things differently, as, apparently, does your own Department of Labor. Two days after the Elkhart speech, the Bureau of Labor Statistics reported a measly 38,000 jobs were created in May – the worst jobs month in six years. And labor participation – the number of Americans who work – has languished under your watch at rates not seen since the last president who manufactured malaise, President Carter. You can’t have an expansion, sir, if people aren’t working. Let’s review your economic performance, Mr. President, by the numbers. First, we’ll cut you some slack and throw out your first year in office, 2009. The recession ended halfway through, but ’09 was a horrible year you didn’t create, going almost 3 percent negative. But the next six years, through 2015, the economy averaged a pitiful 2.15% GDP growth. Those are not expansion numbers, sir, and they’re the worst for any president since World War II. Any economist will tell you an expansion is annual growth averaging at least 3%. By the way, 2016 is not trending any better than the past six. Anti-business regulations, guidance and executive orders from your EPA, NLRB, Labor and FCC. All of these are unprecedented for any president in their tone, scope, and damage. Not to mention the palpable fear and uncertainty that manifested among job creators. Referring to the economy in the Elkhart speech, you said, “We can make it even stronger.” Who are “we,” Mr. President? The Oval Office door will soon hit you in the backside for the last time. With all due respect, sir, if “we” make “it” stronger, that will happen after you leave. Write this on a rock … Out here on Main Street, Mr. President, we’re not going to miss you when you’re gone. 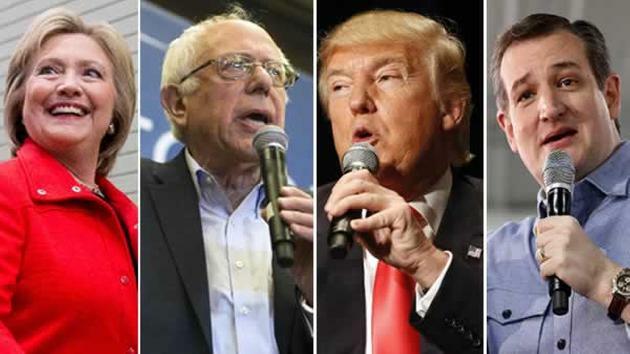 Poll results: Which of the frontrunners would you vote for? It’s the week before the Iowa caucuses. Which of the frontrunner of the two parties would you vote for? 20% - If these are my choices, I won’t vote. So, there you have it. The Small Business Advocate Iowa Straw Poll results. Second, the two troublemakers, Bernie and The Donald, are the frontrunners in their parties. Surely this who-woulda-thunk-it scenario will be the stuff of books and civics lessons for years to come. Finally, for those of you who support the Democrat O’Malley, or Bush, Rubio or any of the other Republicans, please forgive me for leaving them out of the survey. We just didn’t have room other than to offer the “anyone else” option at the end. Even so, with only 20% choosing this line, it looks like the choices were offered were justified, as they align pretty well with the national polls. I’m looking forward to our edition next week where we’ll compare our numbers with the actuals of the caucuses. Stay tuned. And thanks for your abiding support of our poll each week. Check out our new one below. Poll: Do you think your business is prepared to be relevant and competitive into the next decade? 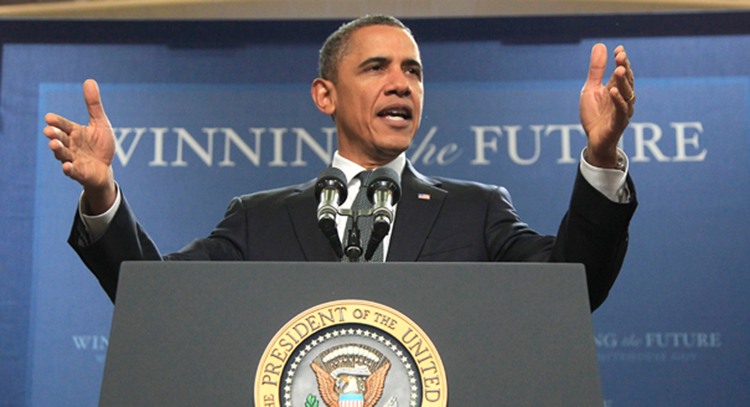 Poll Results: What grade would you give President Obama? 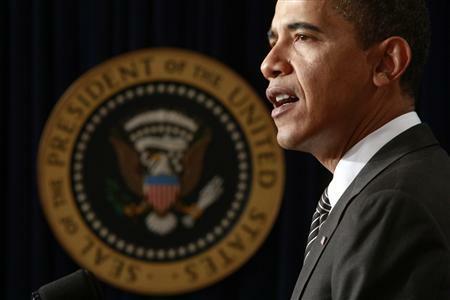 From the standpoint of the impact on your business, what grade would you give President Obama for his time in office? As you can see, President Obama is a failure to three-fourths of our small business audience. It’s been clear from day one that the president has been ambivalent to the Main Street economy atbest, and against us at worst. In seven years in office, the only policy he’s proposed that looks anything like pro-business is the Trans-Pacific Partnership trade deal he cut last year. On the other side of the coin, the anti-business stuff is a long list, which I’m going to innumerate in an article in the near future. Stay tuned. Thanks for participating. And thanks for your abiding support of our poll each week. Check out our new one on how you would vote today, click here. To listen to more about these poll results, click on the link below.